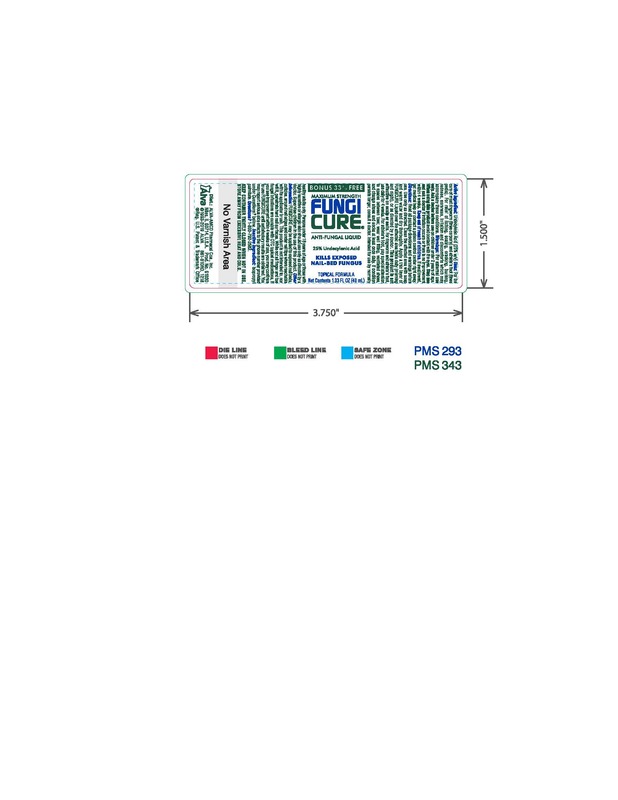 Proprietary Name: Fungicure Anti-fungal Liquid 25% What is the Proprietary Name? Non-Proprietary Name: Undecylenic Acid What is the Non-Proprietary Name? Fungicure Anti-fungal Liquid 25% with NDC 0295-9810 is a a human over the counter drug product labeled by Denison Pharmaceuticals Llc. The generic name of Fungicure Anti-fungal Liquid 25% is undecylenic acid. The product's dosage form is liquid and is administered via topical form. For the cure of mostringworm (tinea corporitis) and athlete's foot (tinea pedis). For relief of itching, scaling, cracking, burning, redness, soreness, irritation, and discomforts which may accompany these conditions. Irritation occursThere is no improvement within 4 weeks. Clean the affected area with soap and warm water and dry thoroughly. Apply a thin layer of FUNGICURE Liquid over the affected area twice daily (morning and night), or as directed by a doctor. This product is not effective on scalp or nails. For athlete's foot, pay special attention to spaces between toes; wear well fitting, ventilated shoes and change shoes and socks at least once daily.